Is Marilyn Monroe's ghost haunting a spot in northern Lower Michigan? Did Bobby Kennedy and Marilyn have a fling, did she get pregnant and go to a clinic to have the baby aborted? Was that clinic in northern Lower Michigan? Jen Cupples from Pellston Michigan told me a story, although not something she witnessed first hand, about some people hearing voices at an old building. The voices were said to be of that of Bobby Kennedy and Marilyn Monroe. The story goes that Bobby and Marilyn had a fling and she got pregnant and they were searching for a remote place where they could have an abortion. I don't know if there's any truth to that story but it's fun to ponder. If you had to put a label on Jennifer Cupples it would be that she is a Paranormal Researcher. She investigates but also takes delight in directing people to the right expert, she has created a network of like minded people who all bring something different to the table. Some have knowledge of Sasquatch, or UFO's or whatever. There are people out there that take a scientific viewpoint in trying to prove or disprove the paranormal. What I really like about Jen is that she has had many many things happen to her and she has an interest in all things. Like myself, she started to look around her when strange things started to happen. Jen told me a couple of years ago she was canoeing with a group of others in an area in northern Lower Michigan that has had reported bigfoot sightings. At one point a tree that was sticking out over the lake started shaking violently. Now what caused that? 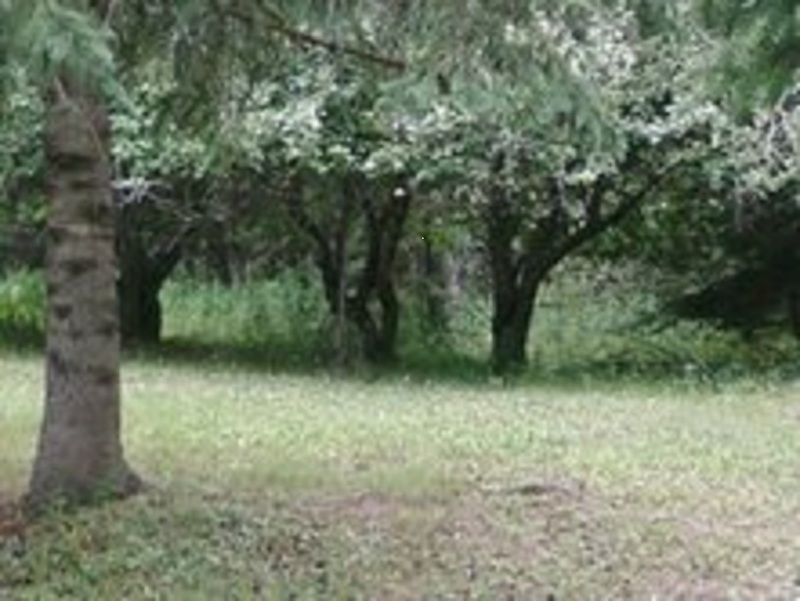 Some of Jen's friends who've had contact with this before felt it was a bigfoot marking it's territory or saying hello. I had never heard that before. 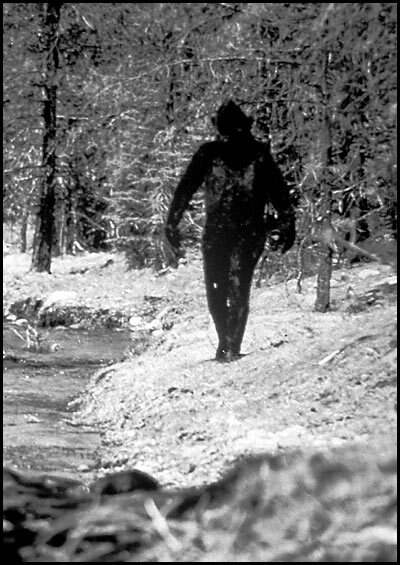 I had heard that some people claim that bigfoot may throw rocks or sticks at you to get your attention, or scare you, or mess with you, or who knows. Jen also told me a few years ago she saw a white bigfoot in the woods not far from her home. She had another witness with her at the time. Do you believe she saw something? Other topics this week: Communal living, The Shift, Spirit Guides, Intuitive Healing, and more. Jen is a gentle and joyfull spirit, that is why I enjoy talking to her. Jen doesn't profess to have all of the answers but will try to put you in touch with someone who can assist you. She has many connections, so don't be afraid to contact her if you have something strange happen to you. Regardless of what is true or not, what Charles Lindbergh did was amazing. I recall he had to do everything he could to stay awake. No one had ever done what this before, can you imagine the courage and determination that it took? What was he thinking or feeling on the day of his historic flight? This interview is not meant to hurt the Lindbergh name. I will never do a show that was out to attack someone. How is anything gained from that? Instead, this show was done because a woman just happened to be coming to see a friend of mine who has some connections and in turn she was introduced to me. My friend suggested that I might be interested in what she had to say. I was. I find it more than a coincidence that I had heard a little bit about this story almost ten years ago. I never got to meet Harold Olson but perhaps I met his spirit. Anita, my guest, feels that his spirit has been near her in the last couple of weeks as she finally got a chance to tell Harold's story to someone. Then, last week it hit me. This isn't just about Harold, it's about all of us. Huh? Where did that come from? 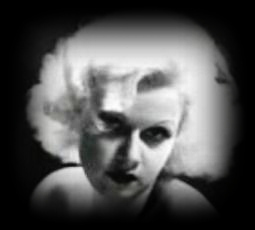 If you heard last weeks show then you know that Harold Olson claims to be the kidnapped Lindbergh baby. He spent a good part of his adult life trying to find out who he really was. 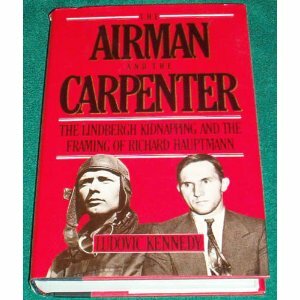 As he dug more and more the evidence seemed to support that he was the son of Charles Lindbergh. Now that may seem a bit crazy, but why would a man spend over $100,000 of his own money to try to prove it. Why did the state of New Jersey mislead him? 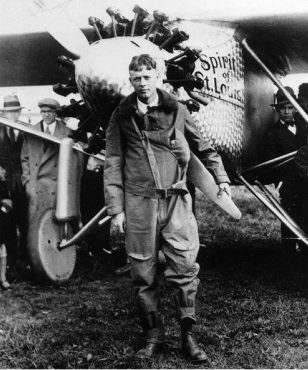 Why did Charles Lindbergh's other son (John) believe Harold to be his brother. I guess my point in all of this is that this is a story about a man who was trying to find his true identity and felt he was being lied to. Couldn't that be the story with all of us? What do I mean? I'll let you ponder that if you want. I welcome back Anita, from Escanaba Michigan and part two of our interview about Harold Olson, who may have been the Lindbergh baby. She chooses to just go by her first name because in the past her phone has been bugged and someone from the U.S. government was sitting outside by her home. Now why would they do that? So she was a little afraid to do this inteverview initially. We were even going to disguise her voice and call her Madam X. (Pretty funny, huh?) But in the end, she decided that wasn't necessary. By the way Anita mentions a book that may shed some insight and I posted a picture of it in case you want to check it out. In no way is she connected with the book or promoting a website or anything else. The book is not about Harold Olson. It is about some unanswered quetions involving the Lindbergh baby kidnapping case. He was an American hero. The first to cross the Atlantic solo and could have died trying. Yet, luck was on his side. He was Lucky Lindy, and back then, everyone loved him! Fast forward a few years to 1932 when his son was kidnapped, the nation watched in angst as the young couple eventually found their son murdered. Or was he? I remember seeing news reels and old footage of the Lindbergh baby kidnapping and to be honest with you it seemed to be missing something at the time. I don't know what it was, but it just didn't add up. You ever see that show on Sci Fi channel? What is it called? About this town where weird things happen? I'm beginning to think Escanaba Michigan might be like that. About ten years ago a friend of mine and I were talking about strange things and he mentioned that there was a guy who used to live in Escanaba and believed he was the Lindbergh baby. What? You've got to be kidding! You're loony!! 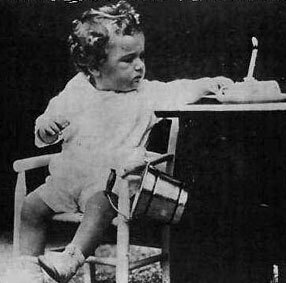 But, as time would have it, recently I met a woman who was very close to Harold Olson, a man who claimed to be the Lindbergh baby. How can that be, they found the baby dead? Or was it the Lindbergh baby? Hmmm. This week a woman by the name of Anita shares what she has known most of her life, that a man known as Harold Olson was not who he thought he was. This story leads on a journey of self exploration as Harold finds out in 1952 that his father is one of two well known figures. This in turn leads Harold to find proof as to who he really is. See for yourself, there are some strange coincidences and occurances. This is part one of two. This much I know about history: we have been lied to about many things. History is painted by those who win the wars, someone once said. I believe that. And while I'm not sure what to make of this story I keep an open mind. Who knows? My guest this week was very reluctant to share this story, but felt she had to do it for Harold. In the end Harold didn't prove that he was officially the Lindbergh baby, but unofficially, well that's another story!